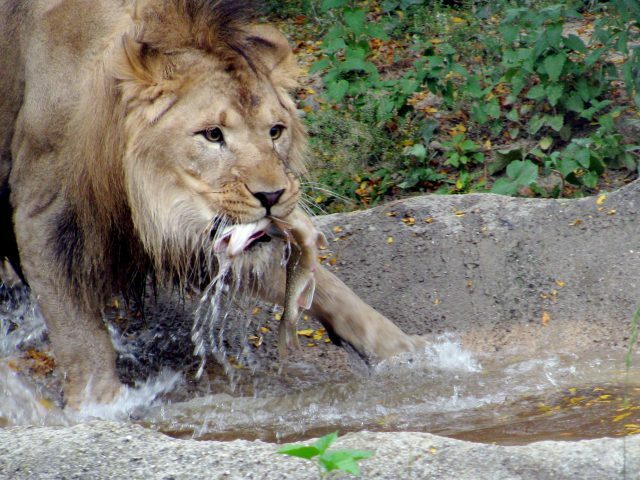 Lions are very social animals that live in prides of 4 and 37 cats. 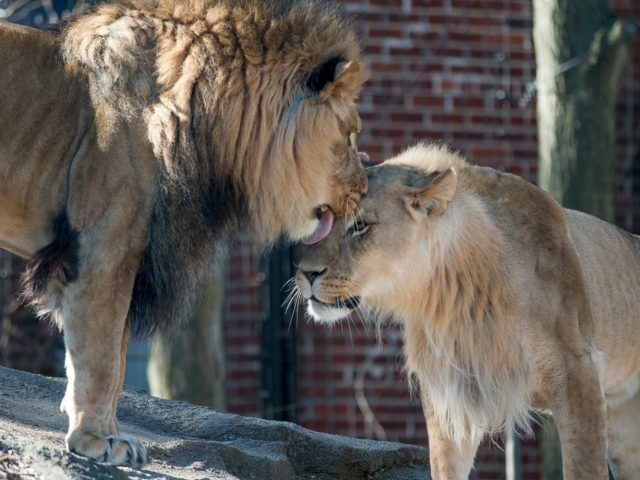 At the core of the pride are 4 to 12 related adult females, their young, and 1-6 adult males. 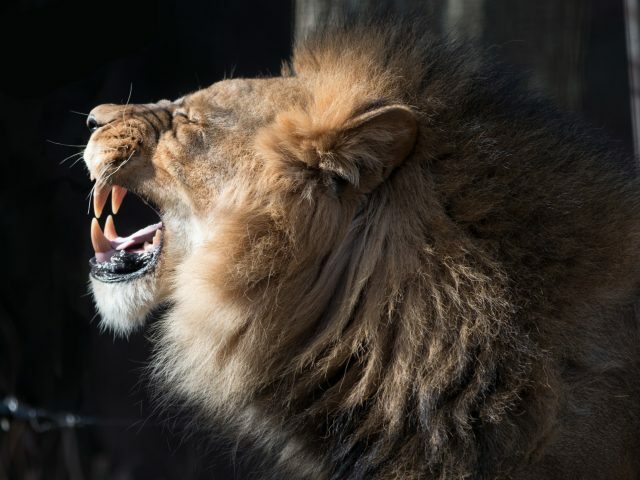 Lions spend over 80 percent of their time conserving energy, which is important for large animals to survive where food may be difficult to get. 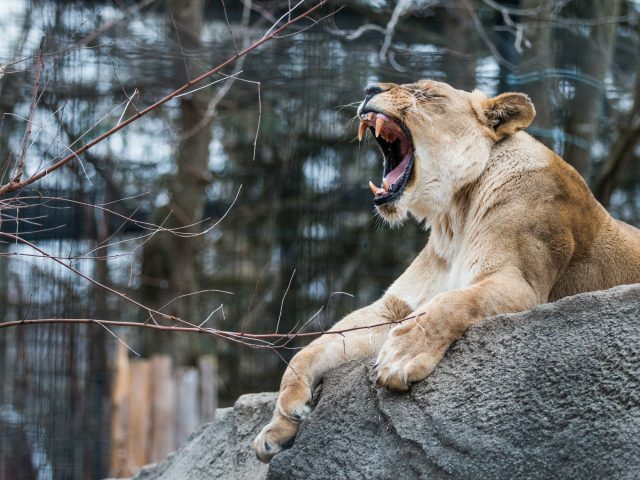 That adds up to your average lion spending up to 20 hours a day resting or sleeping! Timbavati lions are the only white lions known to be in existence. Two white cubs were discovered in a litter on the Timbavati Game Reserve in 1975. 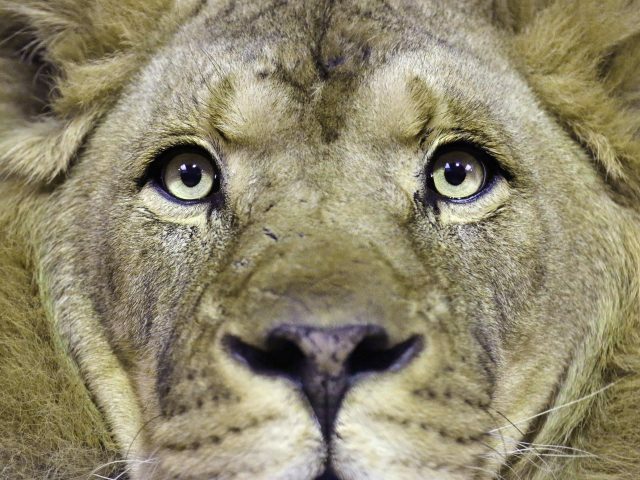 Lion cubs are born with brown rosettes (spots) on their body, rather like those of a leopard. In the pride, females do most of the hunting, when they work together to form an ambush. 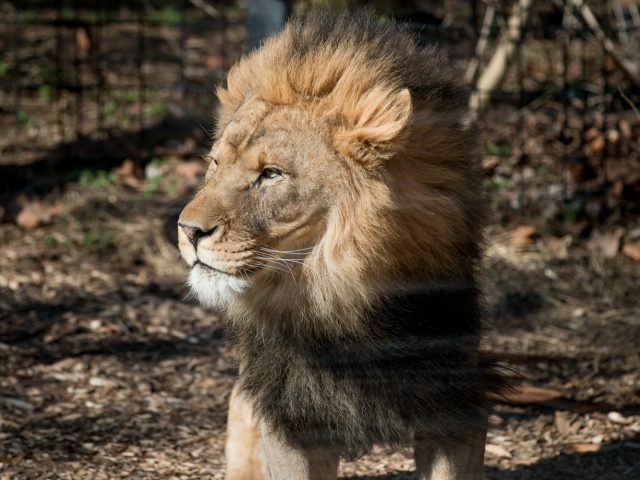 Dakota, our male, came to Potter Park Zoo from Sedgwick County Zoo. 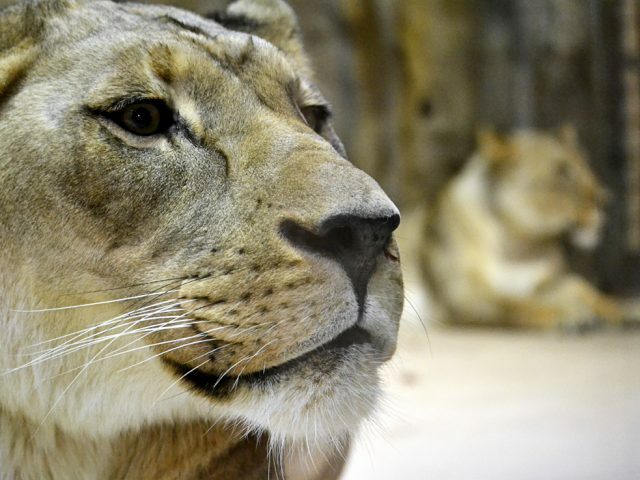 Our two female lions, Saida and Ulana, came to Potter Park Zoo from the Pueblo Zoo in Colorado in 2011. 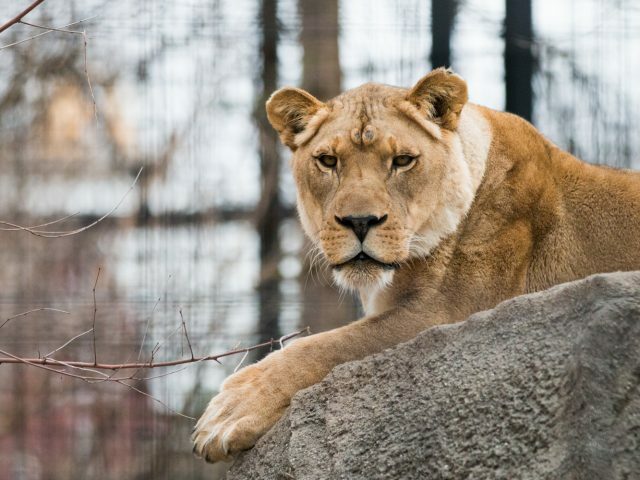 Our resident old lady, Amboseli, passed away in December of 2011. 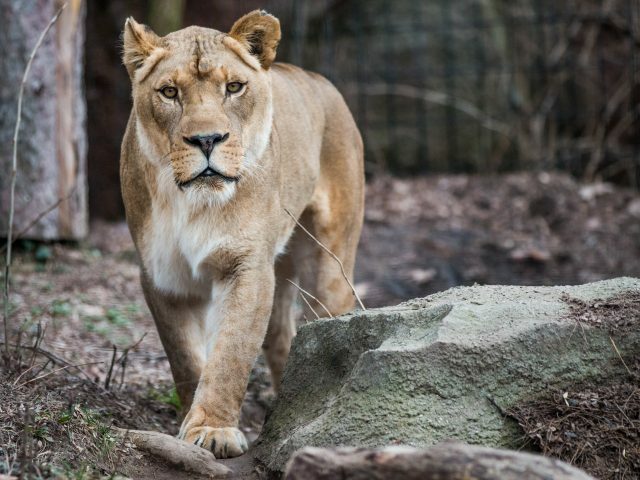 She was 22-years-old, making her one of the five oldest lions in captivity in the world! 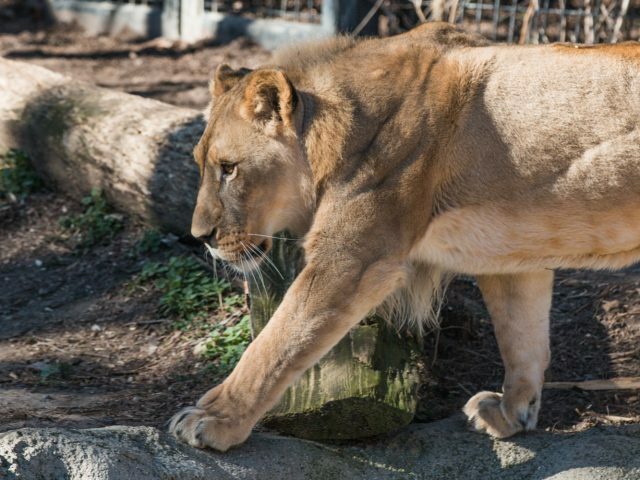 Male lions are around 4 feet in height, and 8 feet long without their tails (which add another 3 feet!). The females typically weigh between 250 to 400 pounds, while the males can top out at 550 pounds. 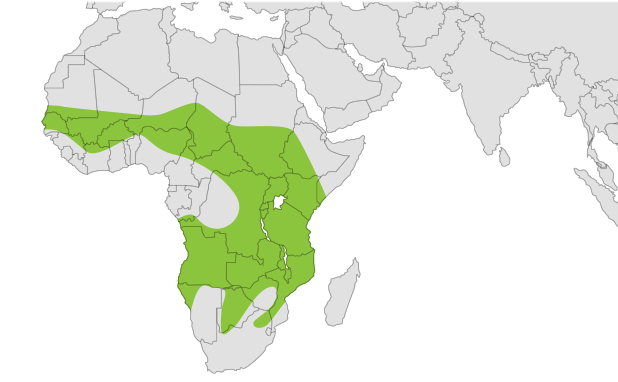 At home in Africa, the preferred meal of the lion includes wildebeest, impala, zebras, buffalo and warthogs.